if the New Madrid Fault repeats its performances of 1811 and 1812, a 10% chance by 2060. PR NEWS: Memphis 7.9 and Broken River both received Darrell Award Honorable Mention book awards at the MidSouthCon SciFi Festival in Memphis, Tennessee, the first in 2004 and the second in 2005, proving the books to be literary successes. Penny says, "It would have been nice to win a First Place, but professional recognition is important, too." He adds, "My stories continue to attract readers concerned with earthquakes under the Mississippi River". Sam Penny is the author of two established science fiction novels that describe what could happen if the New Madrid Fault in the central United States ruptured like it did 200 years ago in 1811 and 1812. 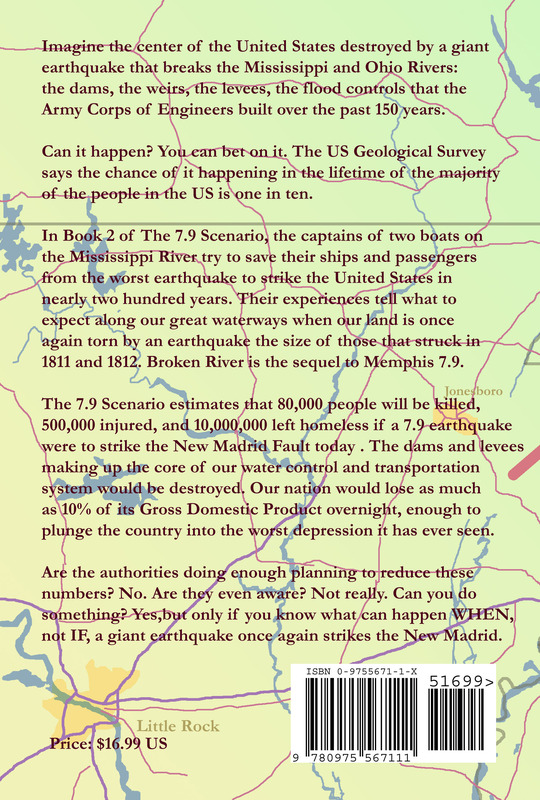 Memphis 7.9 (revised) and Broken River mark the beginning of the 7.9 Scenario, a scientific study of the effects on today's world of a great earthquake under the Mississippi River. 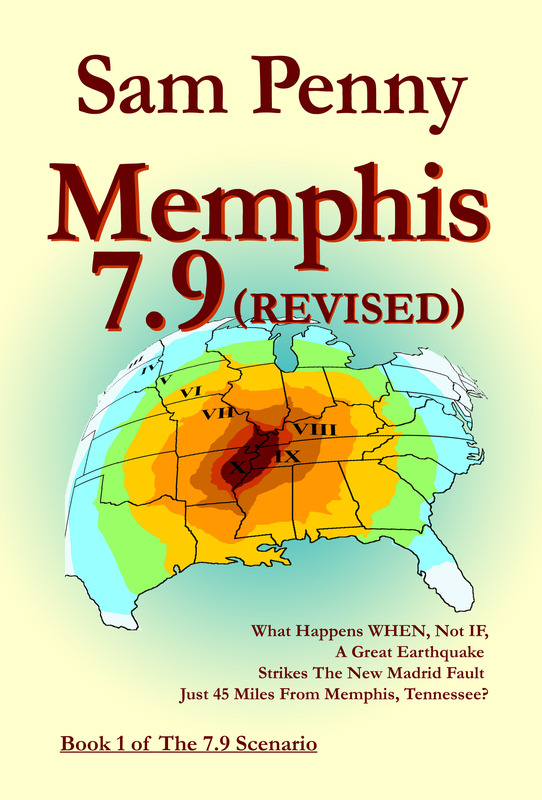 The hardcopy print version of Memphis 7.9 (revised) was published in early 2005 and is available for immediate shipment from Create Space at a cost of $17.99. The revised version was done to correct some technical details and establish the correct ISBN for the book. The hardcopy print version of Broken River was published in mid-2005 and is available for immediate shipment from Create Space at a cost of $16.99. Mid-December, 2011, both novels were uploaded and published as Kindle books. Both Memphis 7.9 (revised) and Broken River can be purchased at Amazon for immediate download. Both books cost $3.98 at the Kindle Store. Email sam@the79scenario.com if you wish to review, comment and contribute to the buzz about these books	. Tell me of your forum and audience. A limited number of free copies of the hardcopy book or a download of a .PDF or .PRC file are available to qualified reviewers. This series of novels and short stories tell about what might happen in the central United States when the next New Madrid earthquake hits the region. A series of major earthquakes ripped apart the land under the Mississippi River in 1811 and 1812 when the census said there were only 5,000 recordable souls living in the region. There are now over 32,000,000 living in the danger zone, and the USGS says the probability for a repeat in the next fifty years is nearing 10%. I lived in California for over 50 years and have felt four temblors larger than 7.0. As I approached retirement, I decided I wanted to tell people about the dangers of earthquakes. 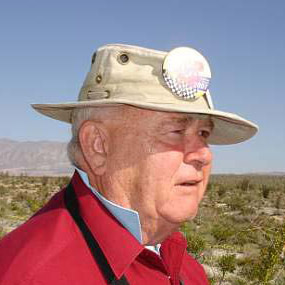 But when I delved into my research, I found that the most dangerous region was in the middle of the USA. People there were not receiving the warnings we did in California, and the probabilities of a bad shake were roughly equal. So I began to study the New Madrid Seismic Zone. To my surprise, I found that many in Arkansas, Tennessee, Kentucky, and Missouri did not want to be reminded of their dangerous situation. In fact, a comprehensive study of the dangers had been discontinued and discouraged. So I did my own research and analysis and concluded that if the same earthquake series that struck the region 200 years ago was to be repeated, casualties could exceed a million, depending on time of day and other circumstances. And yet, I found few who seemed to be concerned about the eminent danger. I chose to write fiction to try to tell people of their danger. 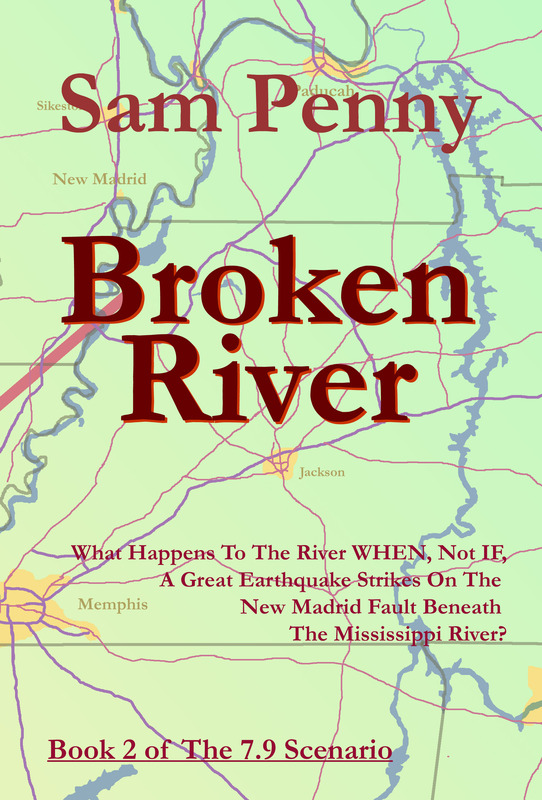 My first two novels, Memphis 7.9 (revised) and Broken River describe in detail how the initial earthquake happens and its effects on the lands and river. My experience in physics and engineering aided me in my writings. 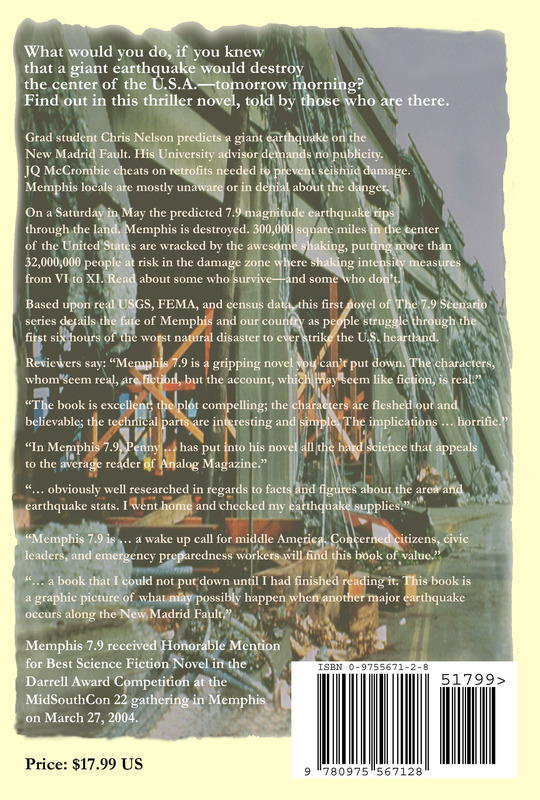 My plan to write a third novel about the recovery effort was interrupted by Hurricane Katrina as I watched the ineptitude of governments to handle emergency problems. I am now starting on a series of short stories to cover the problems of recovery and will publish these on this website.